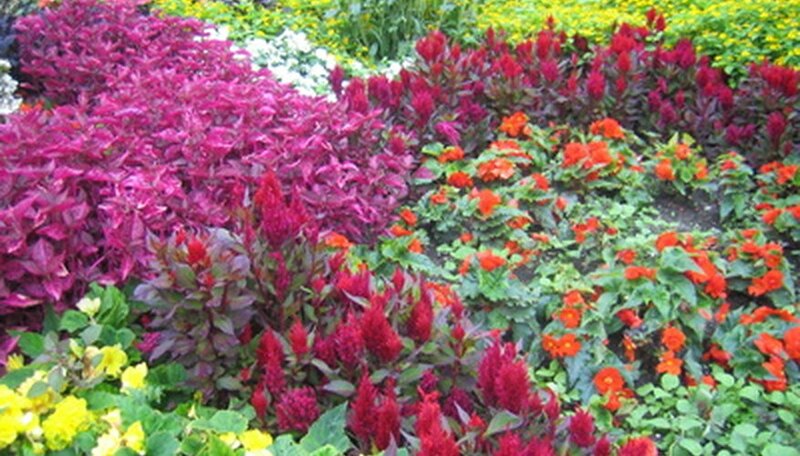 A flower bed enhances the landscape with texture, color, fragrance and height. Indiana has a climate and culture that allows for many different types of flowers and designs. With basic care--deadheading, supplemental water during the summer, and mulch to protect during the cold months--flowers will thrive in your Indiana garden. A bed designed specifically for flowers that you cut for arrangements provides beauty inside and outside the home. A cut flower garden can include perennials, bulbs and annuals. You can grow a large variety of cut flowers in Indiana. 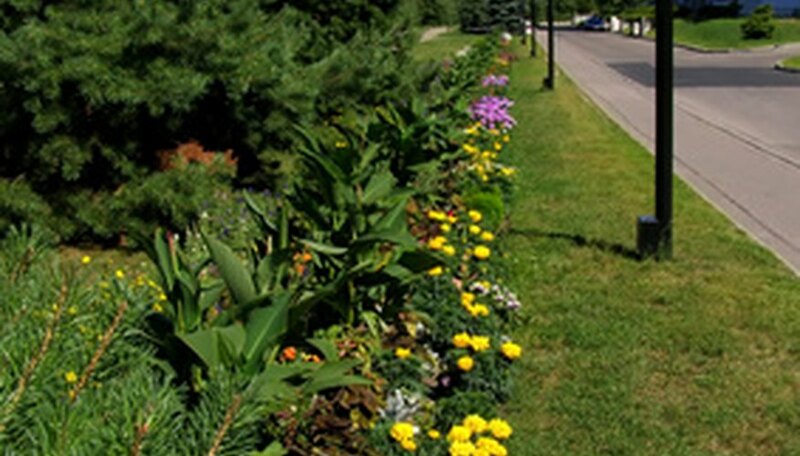 A cut-flower bed makes a great choice to hide a fence or unattractive architectural features. Include a wide array of colors, textures and sizes. Flowers for the bed include hollyhock (Alcea rosea), pot marigold (Calendula officinalis), Cosmos (Cosmos bipinnatis), lavender (Lavendula angustifolia), carnation (Dianthus barbatus) and hybrid columbine (Aquilegia x hybrid). A formal flower bed, defined by its straight lines and order, adds a traditional feel to your landscape. Locate a formal flower garden in a sunny area with fertile soil. Wide, long beds suit the style. Include small hedge plants that provide a backdrop to the flowers, such as Korean boxwood (Buxus microphylla var. koreana). The small, evergreen shrub trimmed in a box-style complements the regular spacing and lines in the bed. 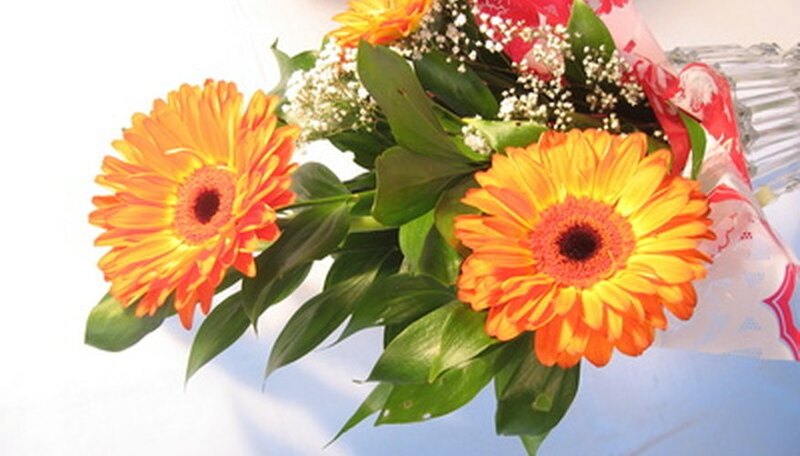 Select flowers that bloom at different times, in soft colors and that maintain attractive foliage throughout the growing seasons. Use a low-growing perennial flower for the front border. Some choices include creeping phlox (Phlox stolonifera), soapwort (Saponaria ocymoides) and English primrose (Primula vulgaris). Behind the border, use flowers that grow to mid-height--from 1 to 2-feet--such as Cupid’s dart (Catananche caurulea) and clustered bellflower (Campanula glomerata). A third row of flowers in front of the evergreens should reach heights around 3 feet. Choices to consider include Shasta daisy (Leucanthemum x superbum) and Japanese iris (Iris ensata). A bed filled with nectar-rich blooms attracts hummingbirds to your yard. Indiana hosts the ruby-throated hummingbird during the late spring, summer and early fall. Locate a hummingbird bed where you can watch from a window or put it near an outdoor seating area so you will see them partake of the nectar. A round or oval bed works well for a hummingbird garden. Use an informal planting design, but graduate the heights, placing the tallest plants in the center and the shortest around the edge. 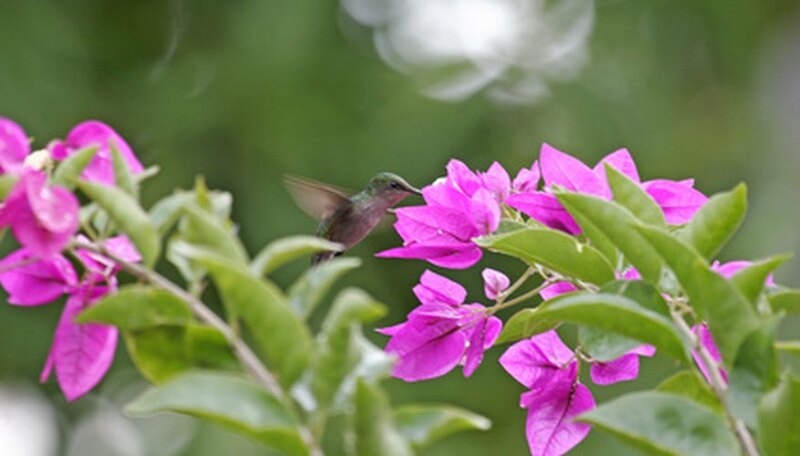 Some flowers hummingbirds flock to include lobelia (Lobelia cardinalis), canna lily (Canna indica), butterfly bush (Buddleia davidii), bee balm (Monarda didyma) and jewelweed (Impatiens capensis).